In September of 2009, I received an invitation to do some research with primary resources at the Library of Congress (LOC) in Washington, DC. Knowing that this invitation was a tremendous opportunity, I agreed and made the arrangements to do research for one week. Part of my time at the LOC was spent with librarians who demonstrated the use of primary resources in the classroom. The rest of my time was alone doing research with primary resources. The focus of my study is the enigma of Thomas Jefferson. He set forth some of our nation’s greatest ideals but he didn’t always follow his own advice. I found this discrepancy interesting and knew that the LOC has many of his original writings and much of his personal library. So off I went to spend days in a library studying first hand artifacts from history. It was everything I could have hoped for and more. 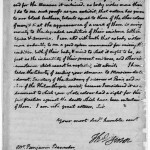 Some of the more famous documents I was able to see were James Madison’s copy of the Treaty of Paris (1763), pages from Meriwether Lewis’s diary from the Lewis & Clark Expedition, Spanish explorer journals (1500s), James Polk’s journals (all unpublished materials), and many many more items & manuscripts. It was truly inspiring to work with these materials and I hope to go back soon -seeing that they issued me a researcher’s library card that is good for two years. 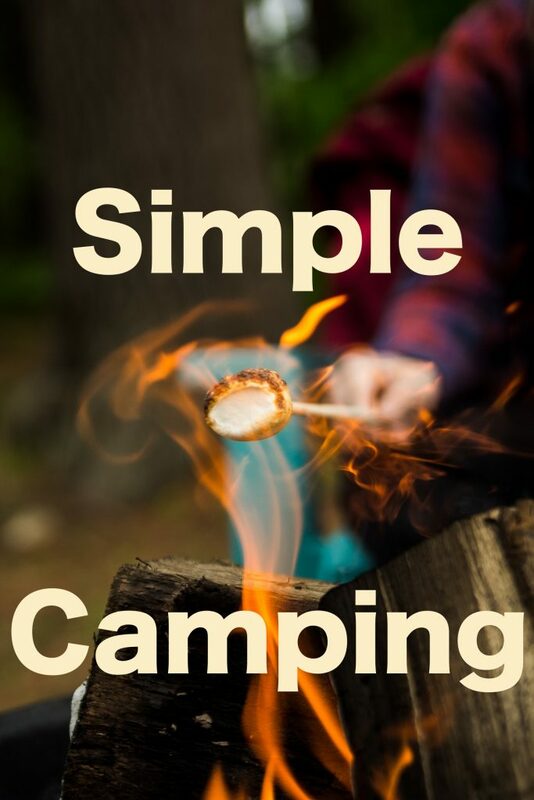 Since the topic of this blog is camping, I thought I’d look up some camping topics while at the LOC. They had tons of materials but nothing of great note. Apparently, the best place to go for teardrop trailer material is the RV/MH Hall of Fame in Elkhart, Indiana. 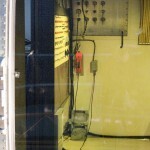 I did some networking while at the LOC that may come in useful for a future project with the Hall of Fame in Indiana. 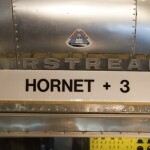 While in Washington DC, I went to The Steven F. Udvar-Hazy Center near Dulles International Airport. This is the newest addition to the Smithsonian Air & Space Museum. 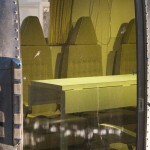 It is a remarkable display of one of a kind aircraft. I was surprised to see so many of my favorite historic & current aircraft. I recommend a visit to anyone in the area with a spare day to spend in one spot. There were three displays that were particularly exciting to me. The first was the SR-71 Blackbird. As a kid, I always dreamed of riding in one of those high altitude spy planes and at the museum I finally saw my first one. The second display that fascinated me was NASA’s Space shuttle Enterprise. It sits in the space flight section of the museum & dominates the floor. 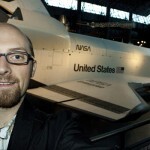 I have also always dreamed of seeing a space shuttle up close and finally got my chance. The last display was an unexpected surprise. 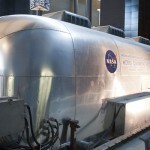 I was walking through the space craft displays when I came upon the most famous Airstream trailer in history. 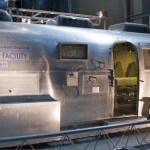 It is the Airstream that was converted to a quarantine facility for the Apollo 11 mission to the moon. It has so many reasons to be in that display. 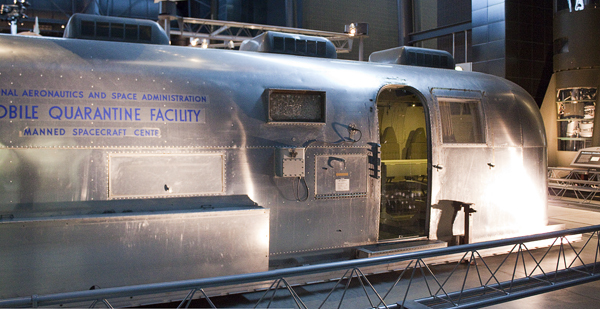 It is related to the moon missions, of course, but many of the first Airstream trailers were made with aircraft specs & surplus materials during and following WWII. 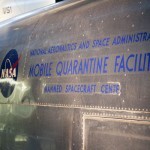 “This Mobile Quarantine Facility (MQF) was one of four built by NASA for astronauts returning from the moon. Its purpose was to prevent the unlikely spread of lunar contagions by isolating the astronauts from contact with other people. 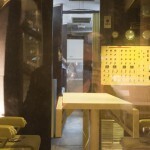 A converted Airstream trailer, the MQF contained living and sleeping quarters, a kitchen, and a bathroom. Quarantine was assured by keeping the air pressure inside lower than the pressure outside and by filtering the air vented from the facility. 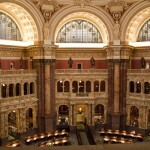 I may not have been able to shoot many photos at the LOC, but I did get about 36GB of photos on the week. Here are just a few of them. A panorama of the trailer. 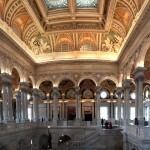 8 photos stitched together of LOC Lobby. Actual width of image: 6 feet.